This entry was posted in Telecom Info and tagged application . 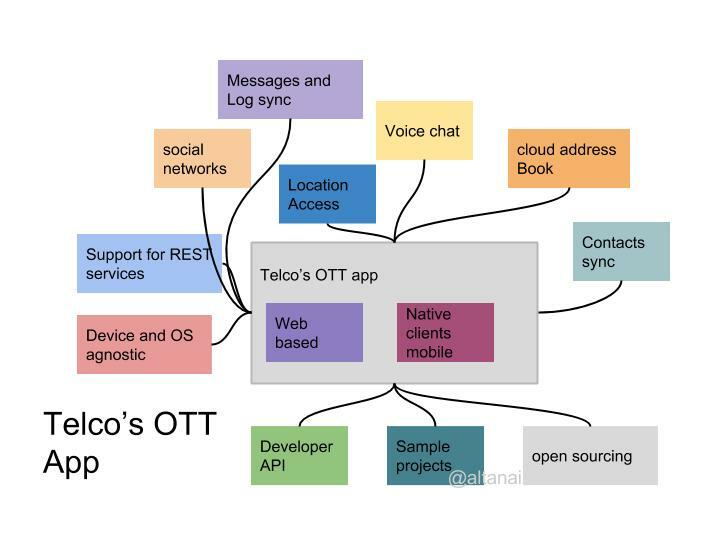 OTT, CSP, IMS, ISP, making messenger applicationl, Net neurality, OTT, Over the Top, Save the internet. Bookmark the permalink. “OTT messaging cost operators $13.9 billion, or 9% of message revenue in 2013” Infact it was far more than this . I speak with experience . you are probably right Keth . We tend to round off the number and keep them closer to average . I know OTT players took away a large , really large share of revenue from pockets of telecom operators in certain parts of the world. You are most welcome to share the right figures for your area if you like .